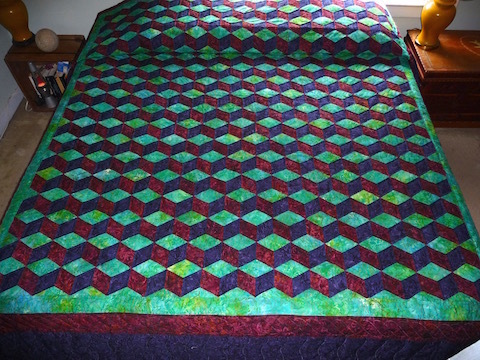 popular among hand quilters because they leave nice open spaces in which to show off the maker’s hand quilting. 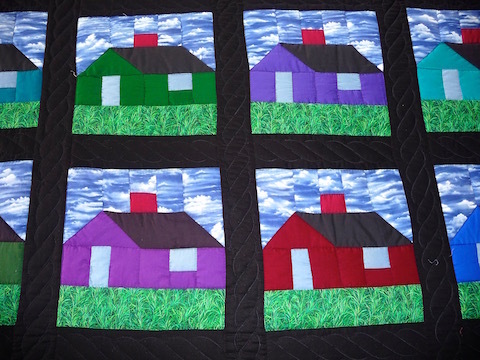 Block patterns are popular among quilt lovers because the patterns lend themselves to a wide variety of color combinations and fabrics. 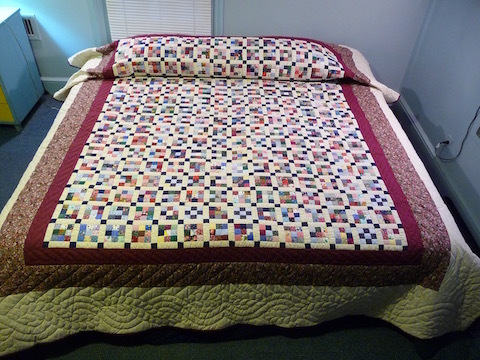 Our Postage Stamp Amish quilt is a great example of how the quilter’s use of color and fabric can create an interesting variation on a traditional Nine Patch quilt pattern.